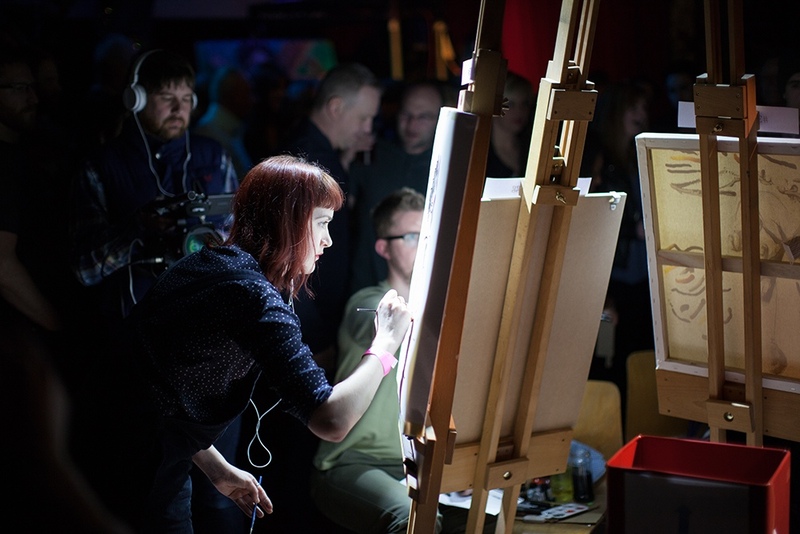 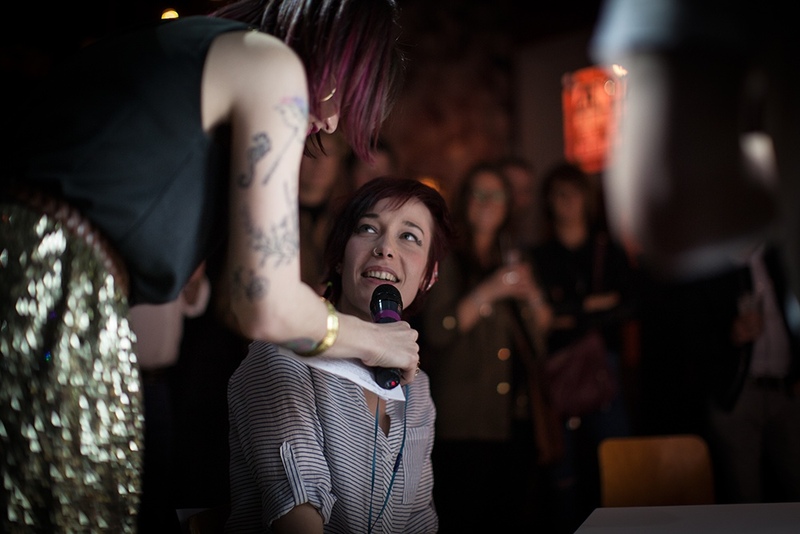 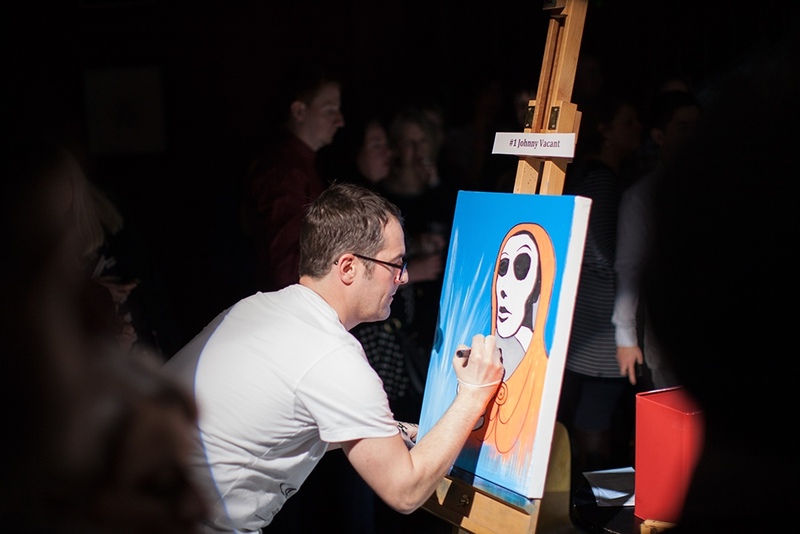 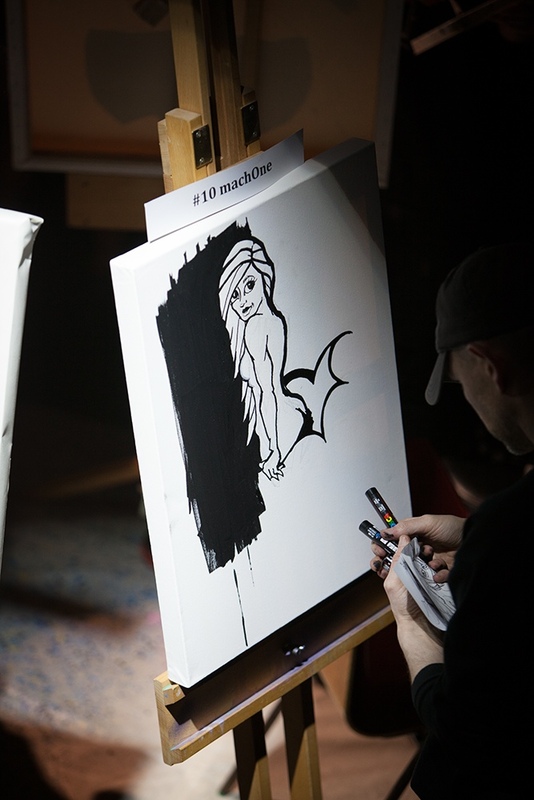 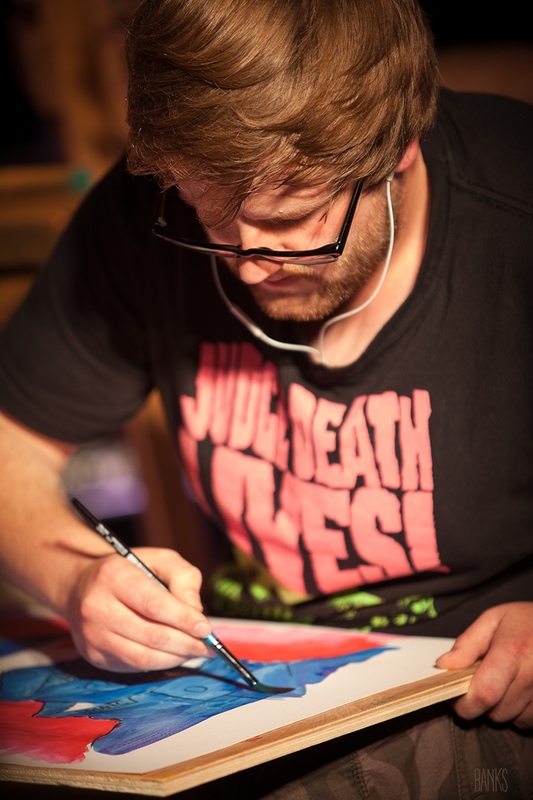 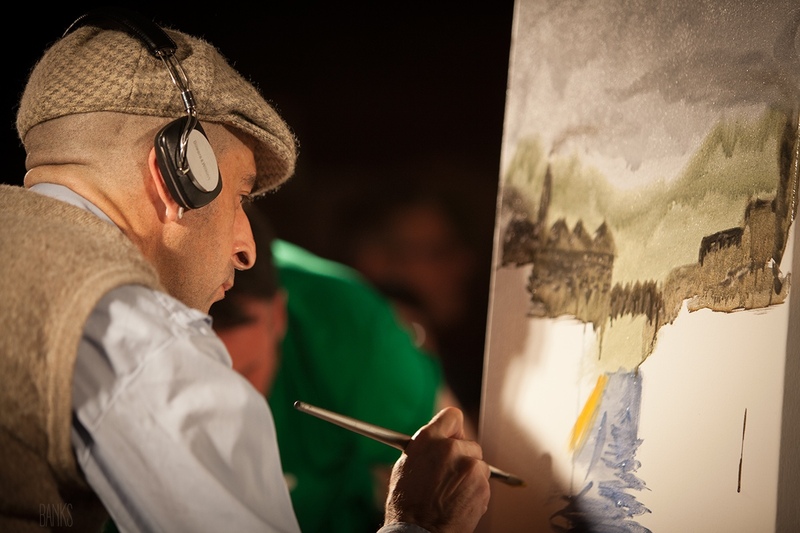 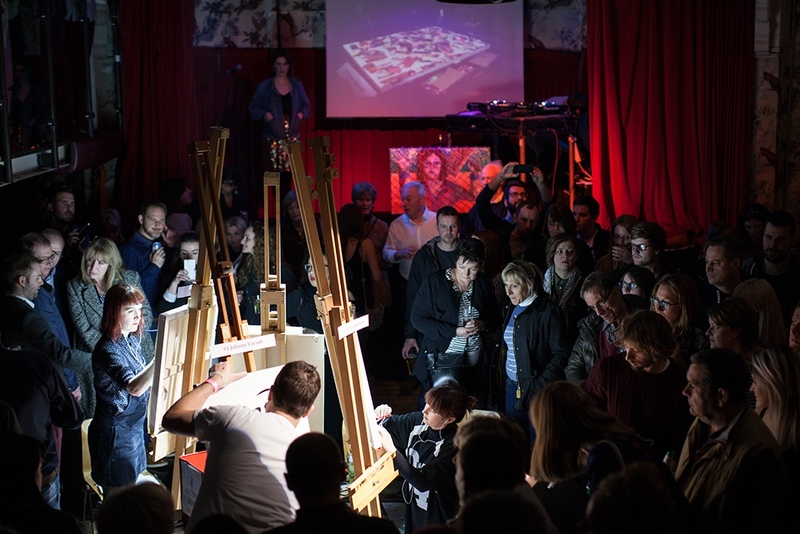 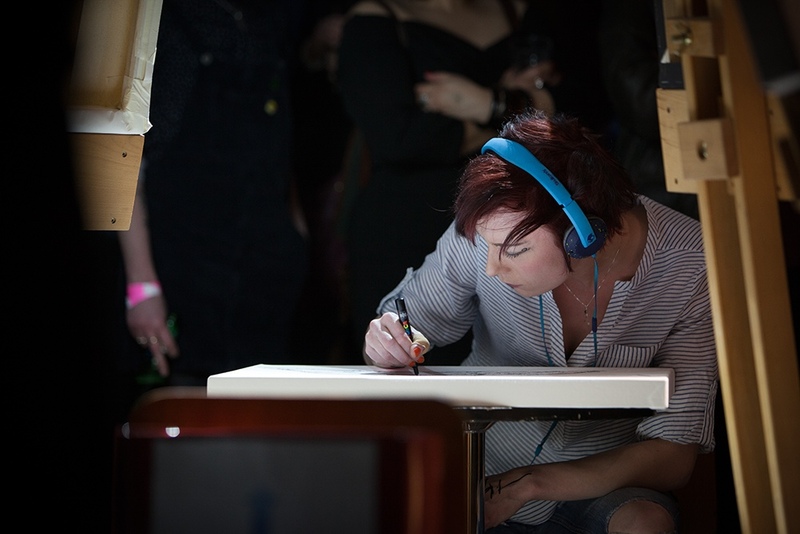 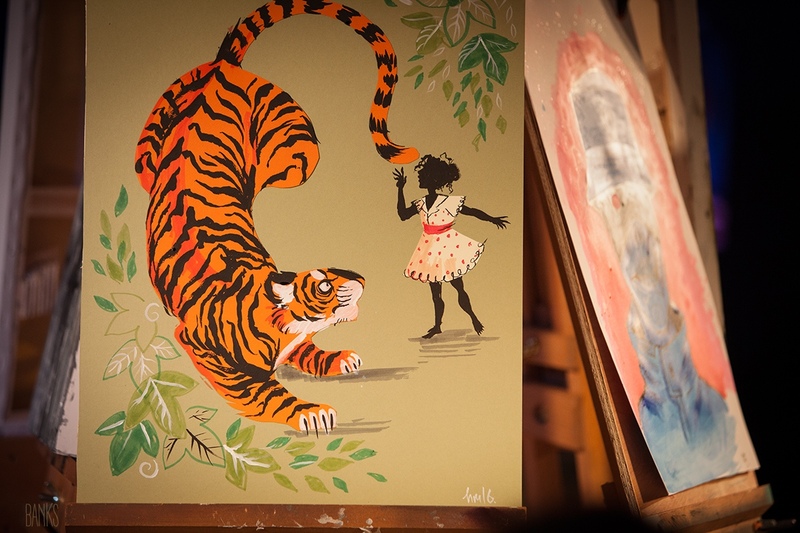 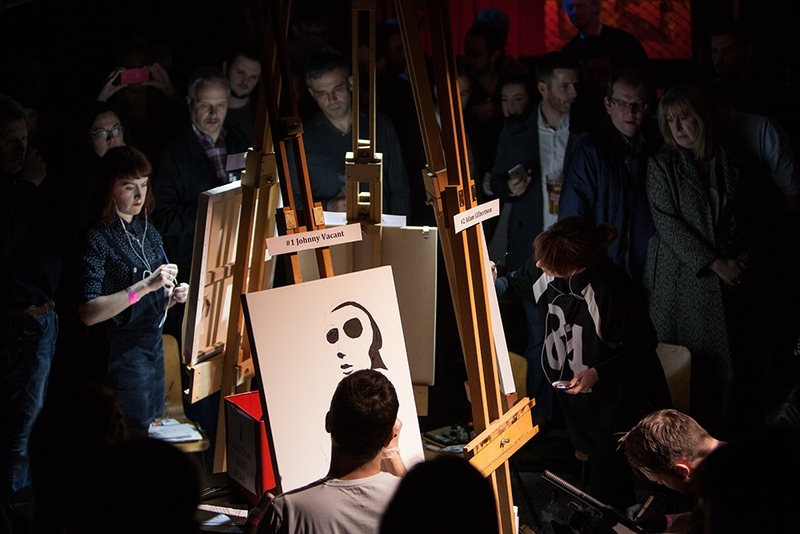 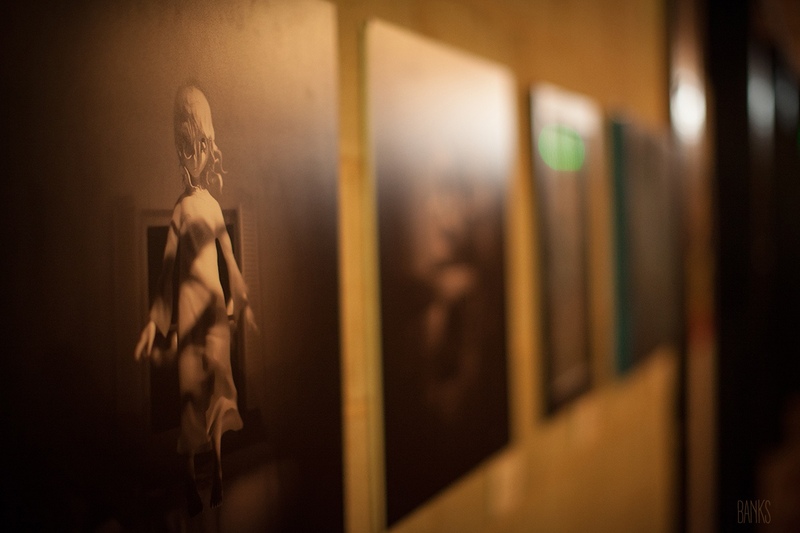 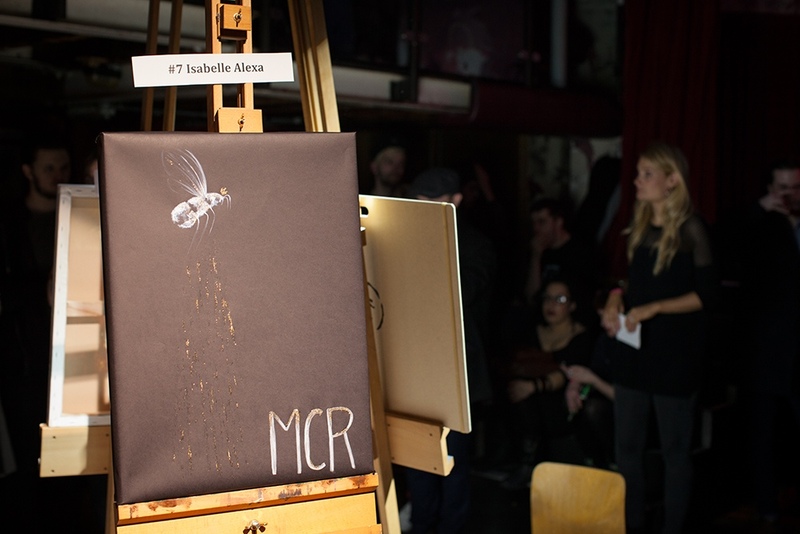 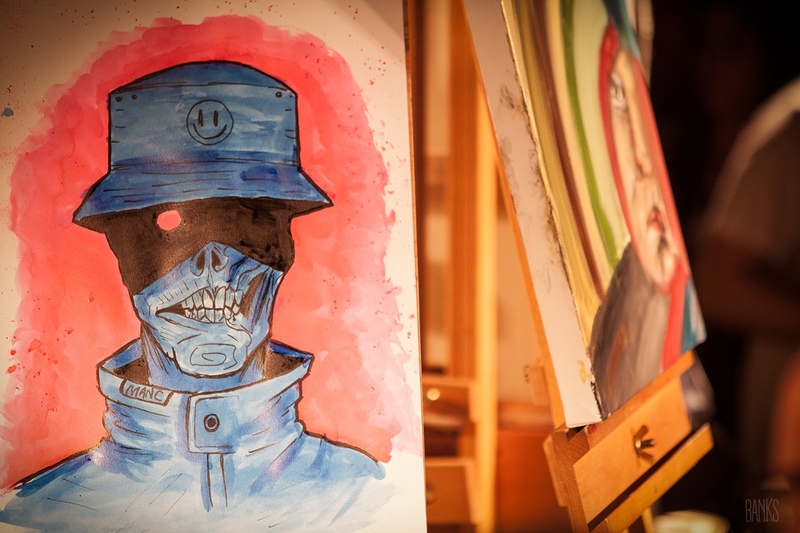 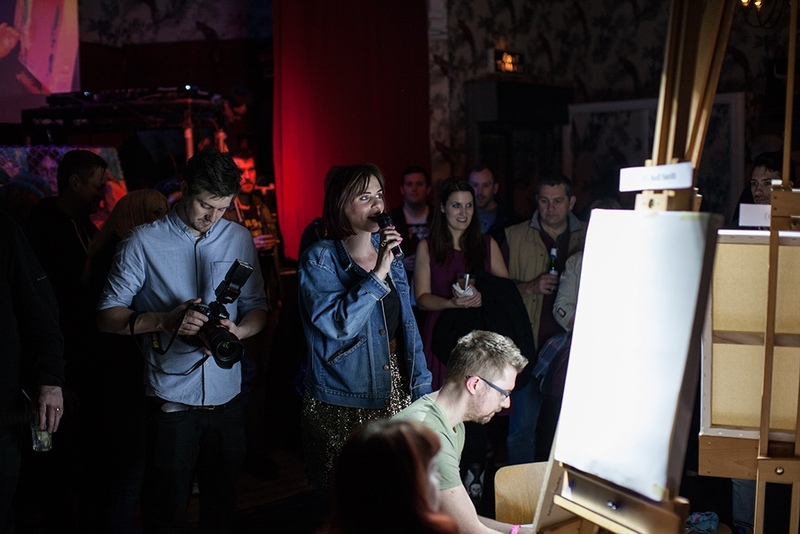 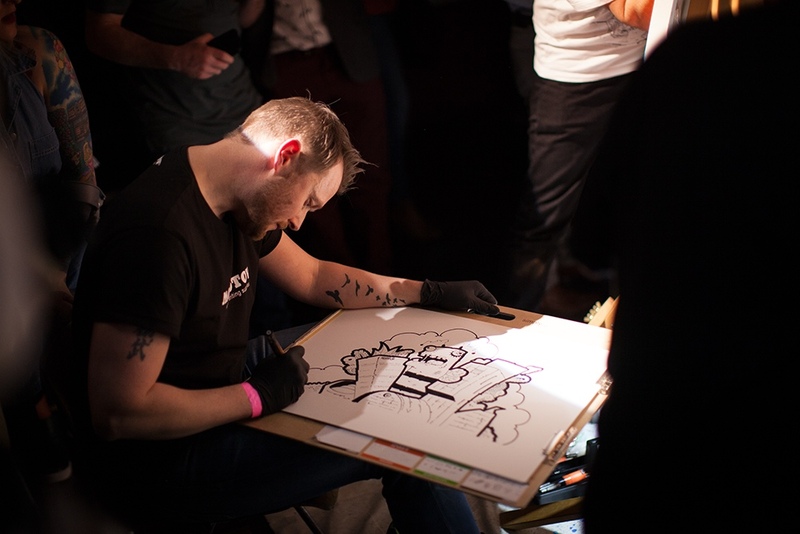 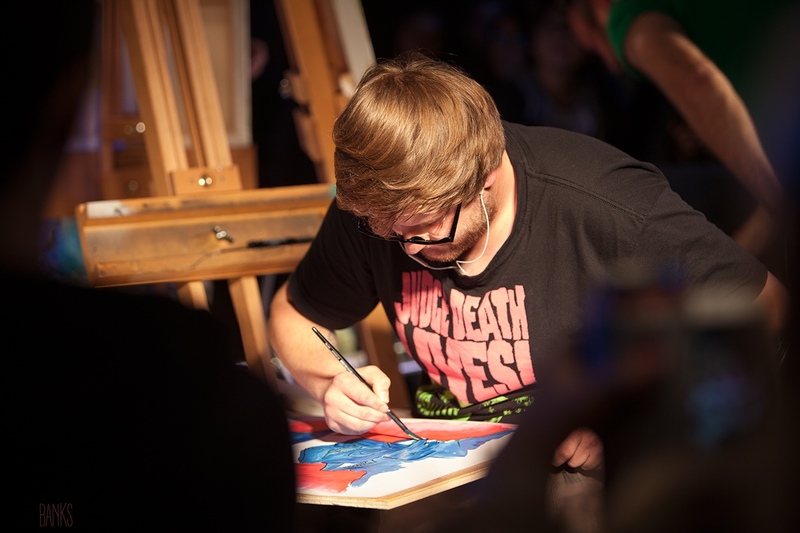 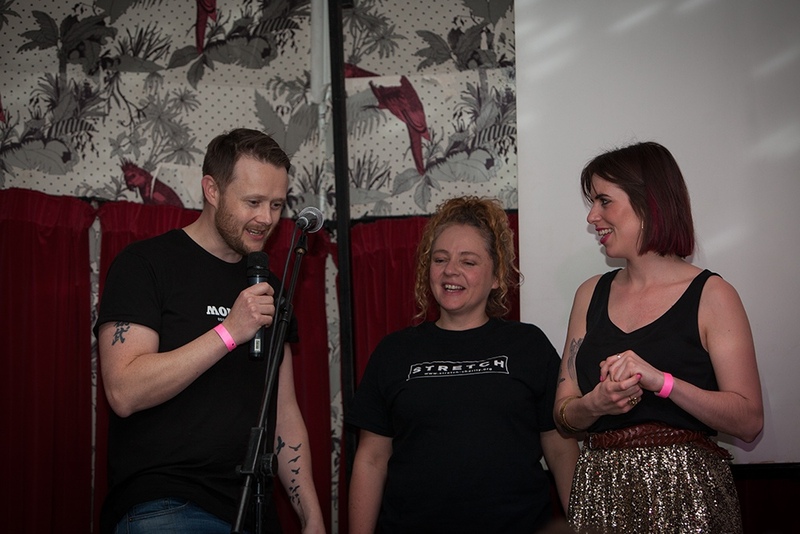 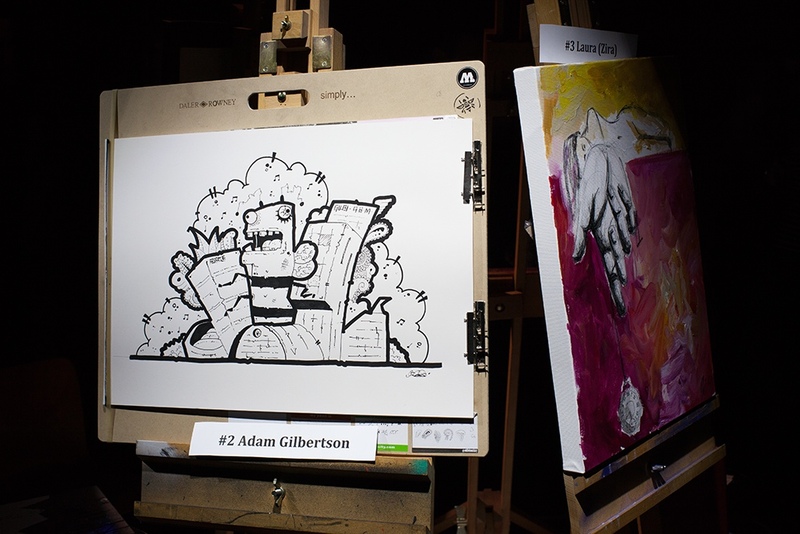 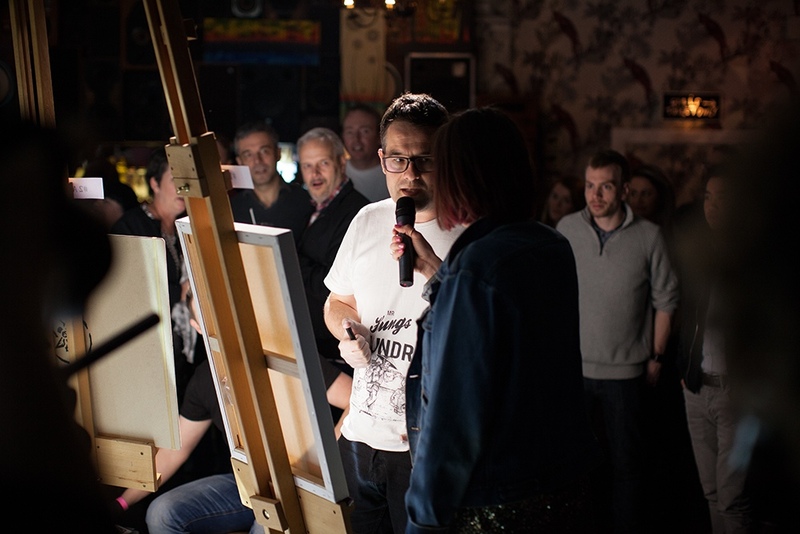 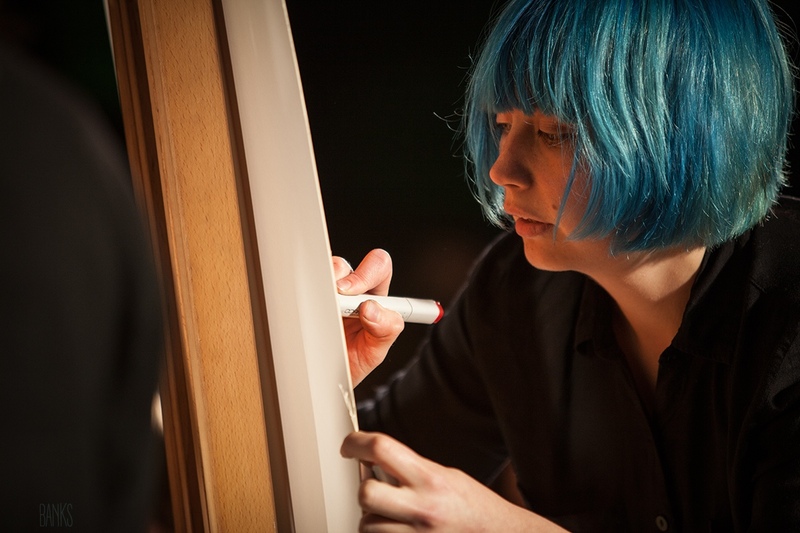 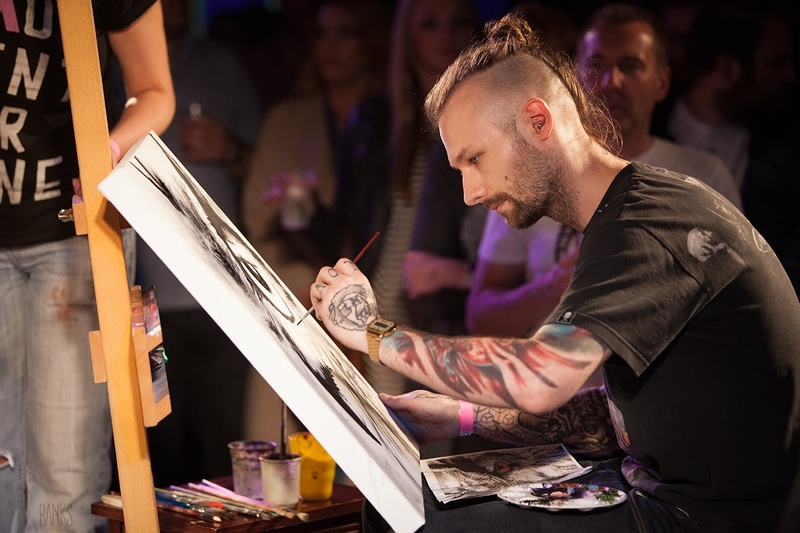 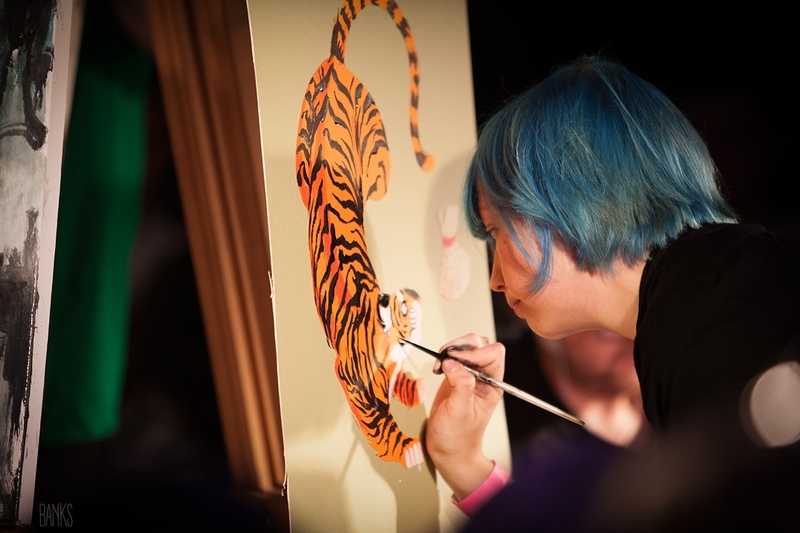 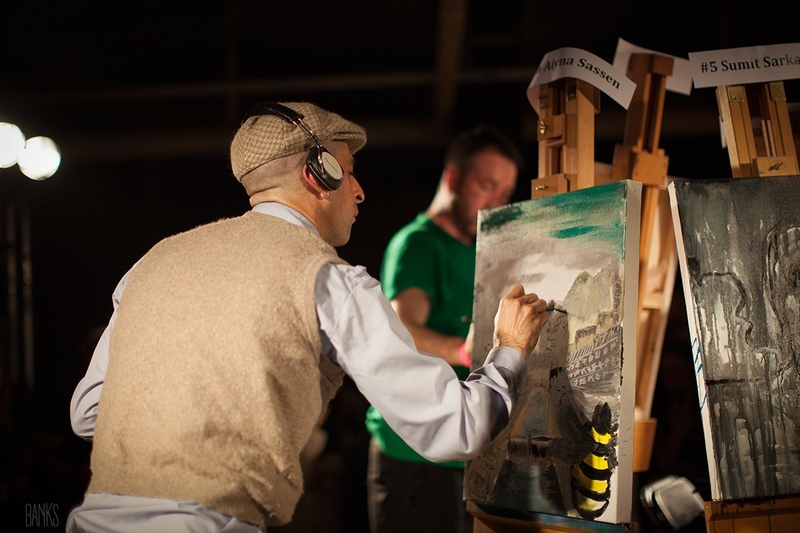 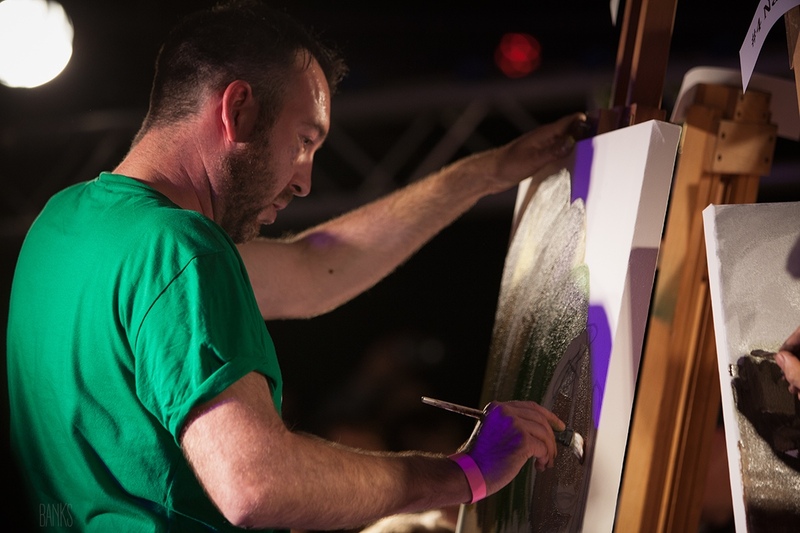 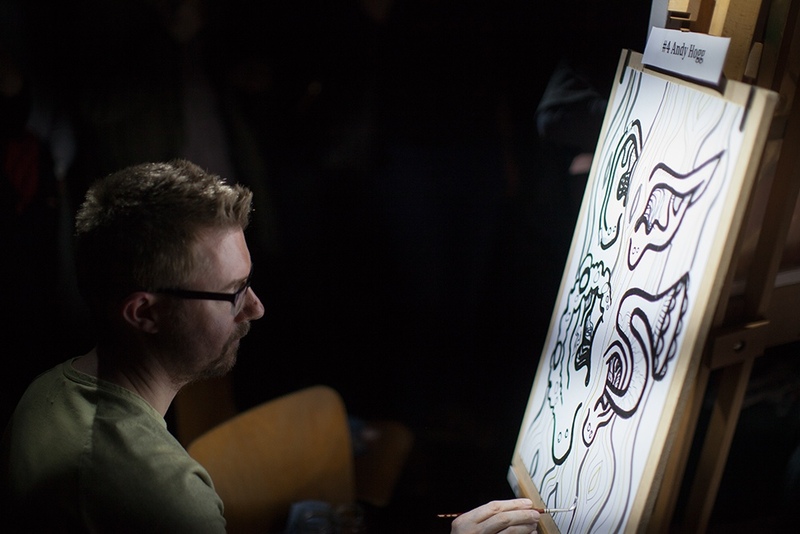 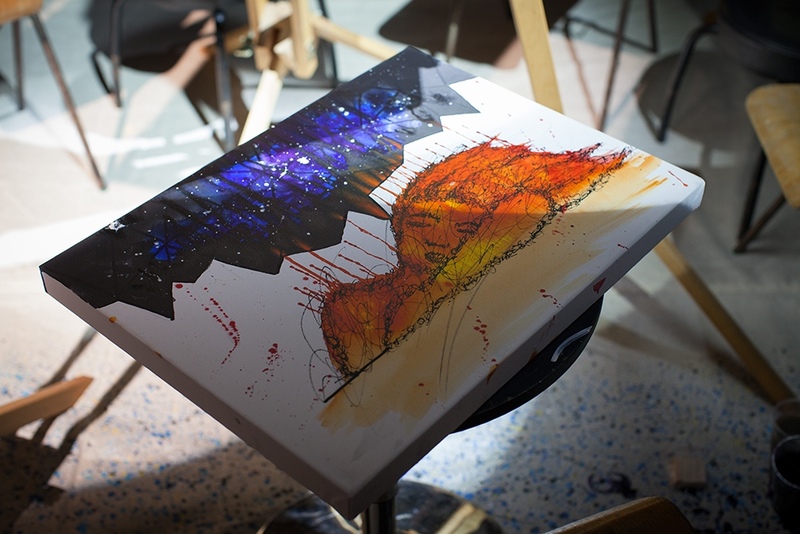 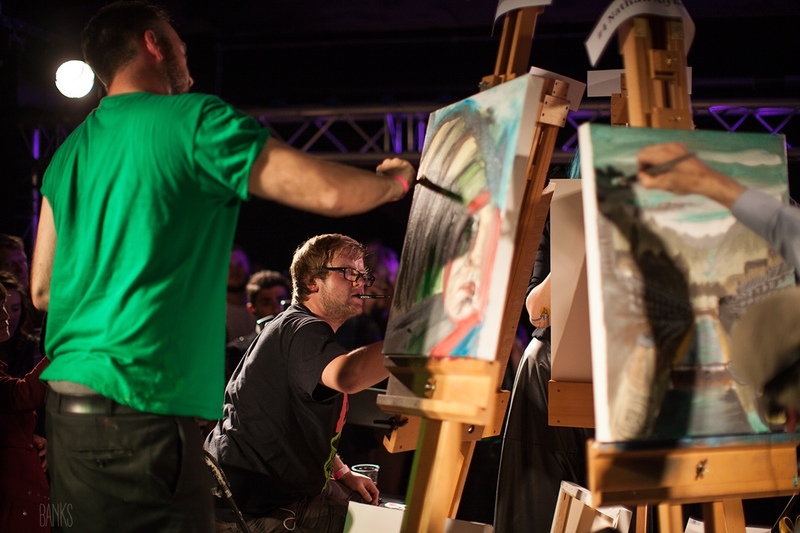 A selection of photos from Art Battles, taking place in Manchester. 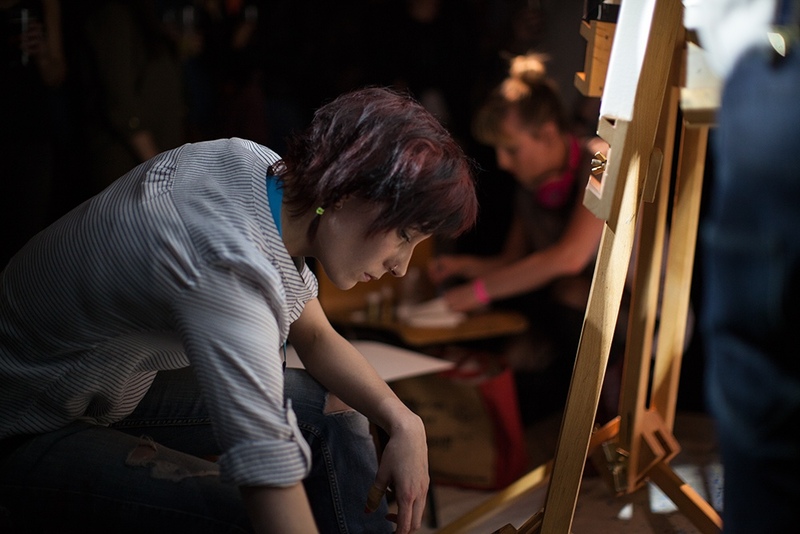 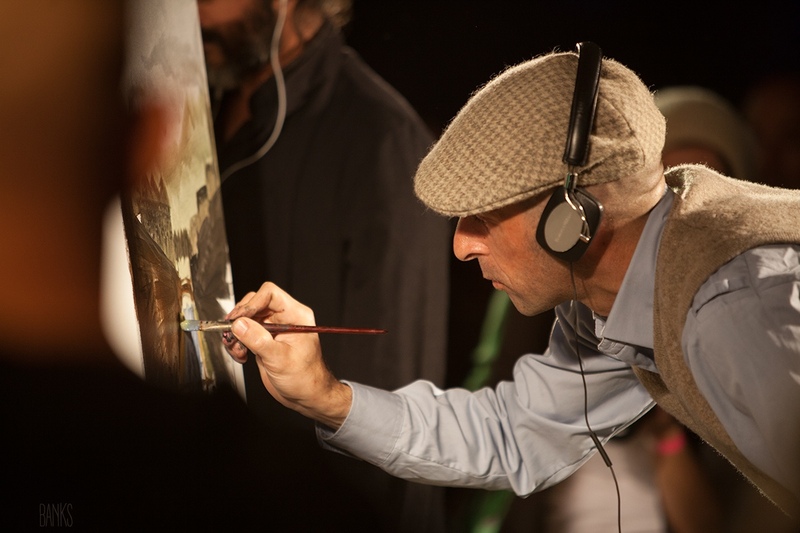 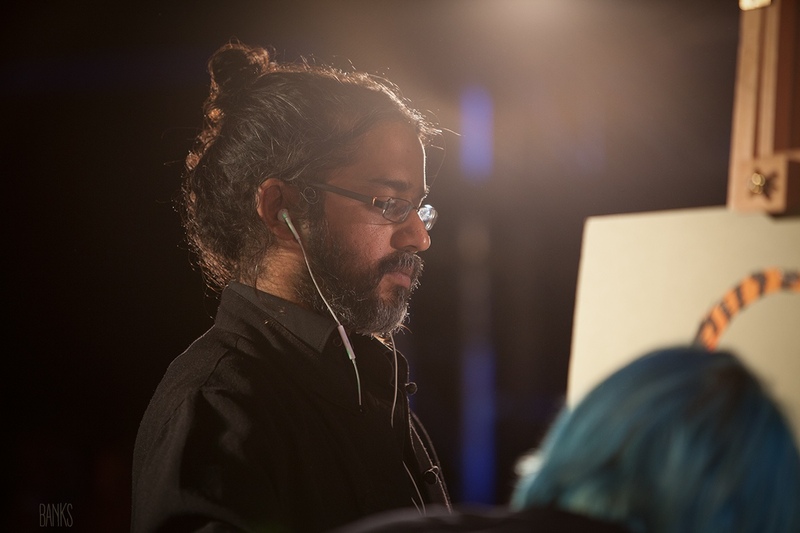 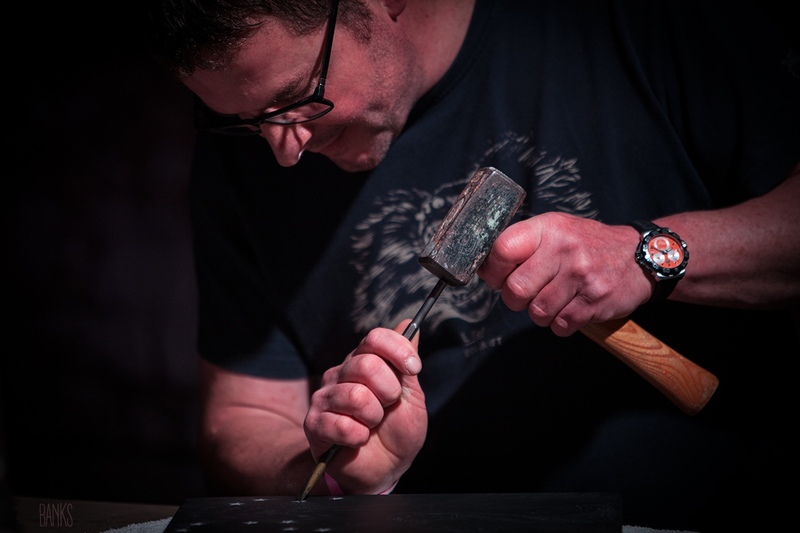 Participants are faced with producing a piece of art from scratch, in front of a live audience, with only half an hour to do so. 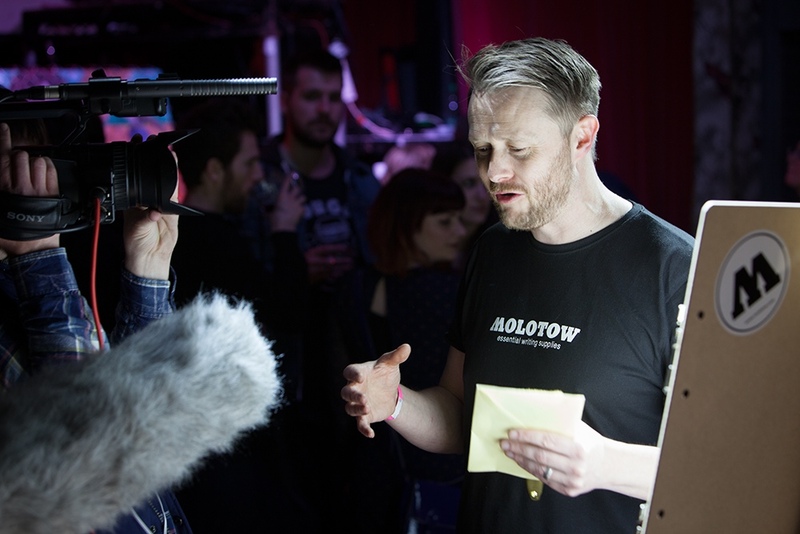 30 Minutes, 10 Contestants, 1 different venue each time.